There is a lot to say about Kerem Görsev Trio, Alan Broadbent and Ernie Watts concert held in March 7th in Ankara within 16th Ankara Jazz Festival. I think I can describe this two and a half hour long event as a jazz feast. 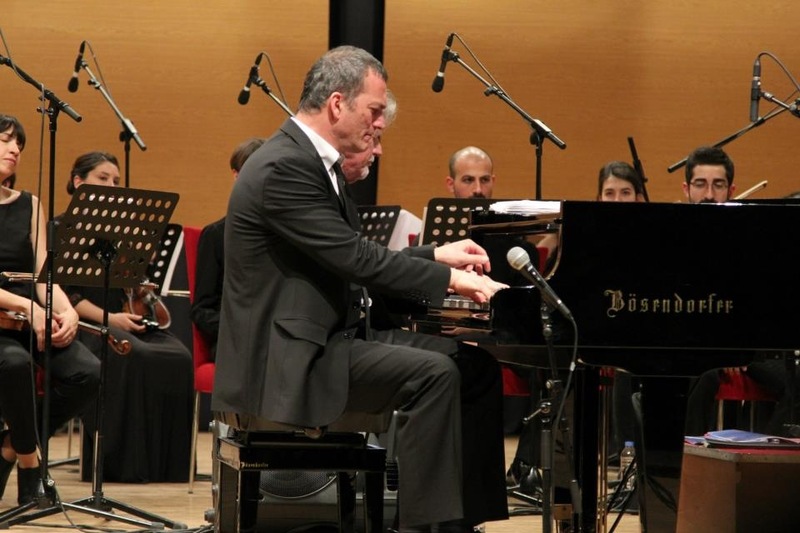 Kerem Görsev has recorded the album Therapy, which includes his own compositions and Kamil Özler’s arrangements, with this band and London Philharmonia Orchestra in Abbey Road Studios in 2010.The album, which I really liked, is reintroduced with concerts to the Turkish audience with concerts in İstanbul, İzmir and Ankara after three years. I am sure that jazz listeners have already known that Alan Broadbent and Ernie Watts are very important jazz musicians and they gave many artistic products to the jazz world especially when they are together with Charlie Haden Quartet West. 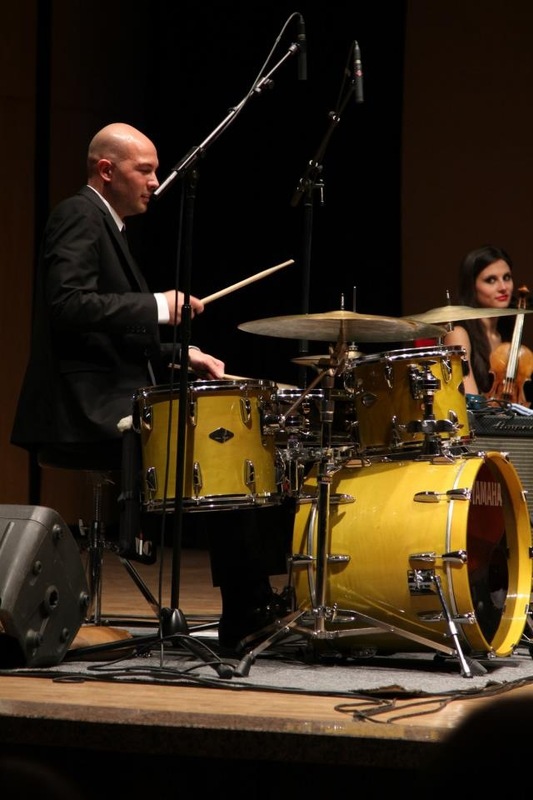 We see the great Turkish drummer Ferit Odman and successful double bass player Kağan Yıldız in Kerem Görsev Trio for many years. I am really impressed by the performance of these two young musicians in the album. I should remind you that Ferit Odman has two albums called Nommo and Autumn in New York in which he worked with many great jazz musicians from America. 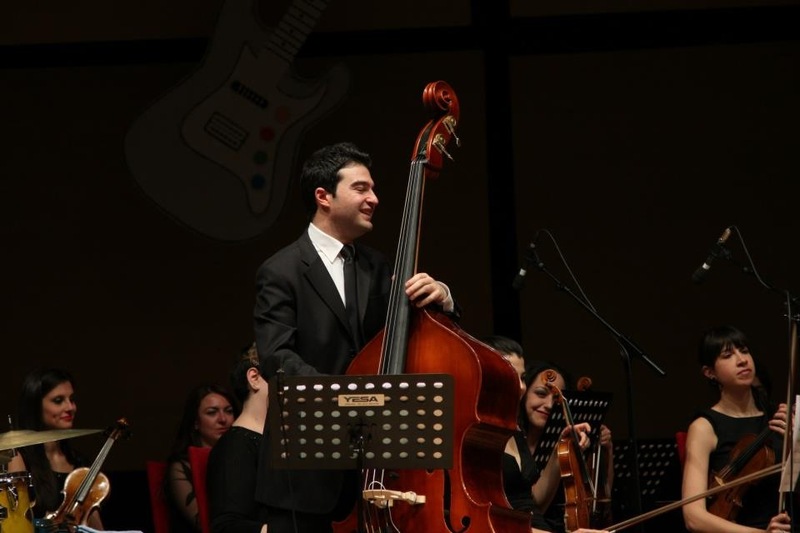 I should also mention that Orkestra Akademik Başkent accompanied to our jazz musicians for the concert. I went to Meb Şura Hall this time on foot, different than my routine travel by car. Why did I give this much detail? Because, I remembered suddenly the name of the album while I was getting nervous by the noisy chaos during this walk: Therapy. I just said myself: “Relax, you’re gonna be OK in the concert”. I became OK indeed as soon as the first note is played. Ferit Odman is at the most left, Kağan Yıldız is just next to him, Kerem Görsev is right at the middle, Ernie Watts is forefront, slightly right and Alan Broadbent is at the back conducting his orchestra. The first performance of the concert was beautiful Diversion from Therapy, which gave also the name to one of the previous albums. We then listened to the Flashback, which is composed as a homage to Kerem Görsev’s Dalmatian dog, Bebop. The perfect solo performance and beautiful ghost notes of Ernie Watts accompanied by swing of Ferit Odman, were worth listening and watching. I found the Orkestra Akademik Başkent a bit inadequate in some parts, which may result from my album’s record experiences. The third piece is performed in quartet formation. I am not sure whether it is necessary to say but Ernie Watts’ phrasings were just perfect. I really liked the solo by Kerem Görsev, their energetic dialog with Ernie Watts and the linking made by Ferit Odman in this dialogue. After that, we listened to Simple Life from the album Therapy. The string partitions are very dominant in this piece. The hall turned from a jazz club to a classical music hall from time to time during night, as mentioned by Kerem Görsev. Kerem Görsev asked Alan Broadbent to play the piano after the Captivation performance from Therapy. Just after that, Kerem Görsev sit together with the audience to watch the performance which started with soft touches of Alan Broadbent, continued with a lesson from Ernie Watts on instrument control and finished by a solo by Kağan Yıldız. Alan Broadbent has played Star Eyes to us next. 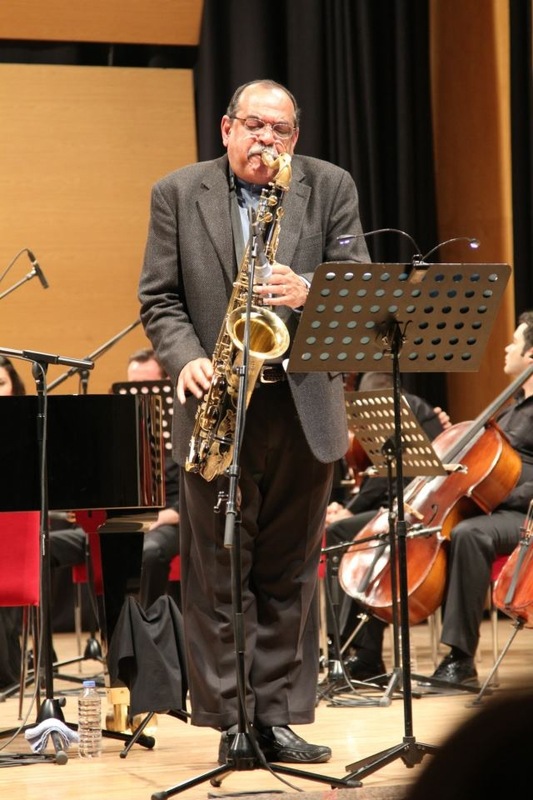 Ferit Odman managed very well the linking between Ernie Watts and Alan Broadbent. The concert has continued with two performances from the album: Therapy and Story Teller as a homage to Oğuz Durukan. I really liked the harmony between orchestra and the other musicians in this piece. Then, a piece from a new album that will soon be recorded is performed: Tribute to Bill Evans. The performance is started with accompaniment of the orchestra to the solo of Alan Broadbent and continued with Kerem Görsev. The instant that alan Broadbent gave a sign to the orchestra when leaving the piano for conducting and arrival of Kerem Görsev to the instrument by tiptoeing was a remarkable and joyful one. After this beautiful piece a homage to İlhan Mimaroğlu called Letter to Mimaroğlu is played. Ferit Odman’s solo initiated by Ernie Watts’ sign in the next performance was awesome. I think he is among the best jazz drummers in Turkey with this wonderful touches and instrument control. Through the end, we listened to a great Body and Soul solo from Alan Broadbent and two pieces from the album: Sunday and Meeting Point. 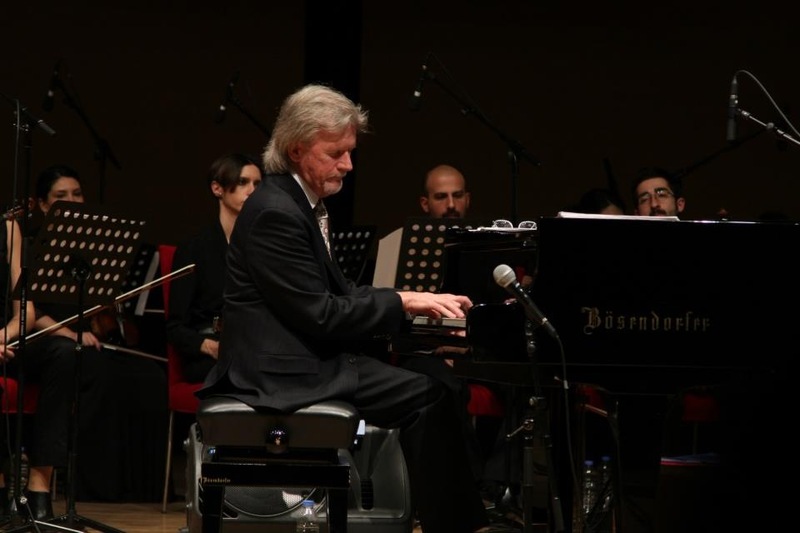 The enthusiasm has risen with the scene that Kerem Görsev and Alan Broadbent were playing the piano together at the last piece before the encore. After a long applause, the musicians came to the stage for a great encore. The encore started with Alan Broadbent’s solo and continued as duo with Ernie Watts. Then it is linked to the solo performances of Ferit Odman and Kağan Yıldız by Kerem Görsev sitting right next to Alan Broadbent. It was obvious that these master musicians get impressed by our young musicians’ solos. The musicians are applauded for a long time by the audiences after the concert. 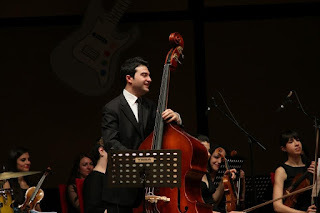 As a summary, it was a memorial concert for International Ankara Jazz Festival.